1903 Nobel Prize in physics (with Pierre Curie) "for their joint researches on the radiation phenomena discovered by Professor Henri Becquerel." 1911 Nobel Prize in chemistry "[for] the discovery of the elements radium and polonium, by the isolation of radium and the study of the nature and compounds of this remarkable element." Marie Curie, one of the most important scientists of all time, has had a direct impact on the history of NIST. Starting in 1910, she played an important role in developing international standards for samples that contained the radioactive element radium, which she discovered with her late husband Pierre Curie. The primary international standard was kept in Paris. Curie calibrated seven radium samples that would serve as secondary standards for national laboratories around the world. One of these samples, containing 20.28 milligrams of radium chloride, was delivered in 1913 to NIST, then known as the National Bureau of Standards. NIST became the holder of the primary radium standard in the United States. NIST still possesses the 1913 radium specimen, the last surviving specimen of its kind from Marie Curie. Still highly radioactive, the Curie radium standards are safely ensconced inside their copper canisters at NIST. The glass has changed color after years of radioactive bombardment. They spend most of their time closed up in their steel bathtub and buried under a pile of lead bricks. Eight years later, in 1921, Curie visited the U.S. to receive a gift of a gram of radium. It had become very expensive by the time and the sample from the U.S. would help her continue her research. Curie attended a White House ceremony for the gift, and visited NIST, which calibrated the radium before it was shipped to Curie’s laboratory in France. Learn more about Marie Curie and the NBS Radium Standards. 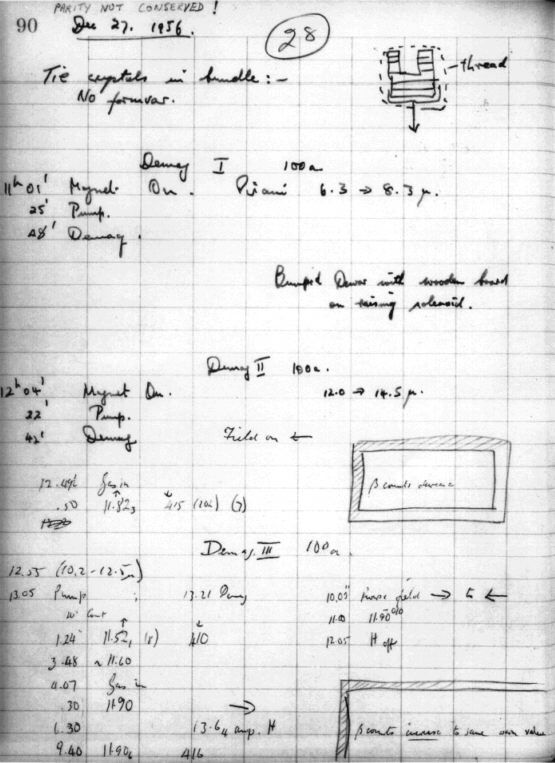 Read a blog post about Saving Marie Curie's Last Radium Standard. On Thanksgiving Day 1931, Columbia University researchers Harold Urey and George Murphy measured the spectrum of radiation from a gas of hydrogen they had received via express rail from NIST. While most hydrogen nuclei contain a single proton, Urey’s analysis uncovered the presence of a heavy version, or “isotope,” of hydrogen, known as deuterium, which also contains a neutron in its nucleus. The gas sample he used to make this discovery was from distilled liquid hydrogen prepared by NIST physicist Ferdinand G. Brickwedde. Deuterium would eventually be used for many applications including nuclear energy, nuclear weapons, environmental monitoring and long-lasting drugs. Because significant amounts of deuterium were only created in the unique conditions after the Big Bang, its observed abundance is one of the main confirmations of the Big Bang theory. 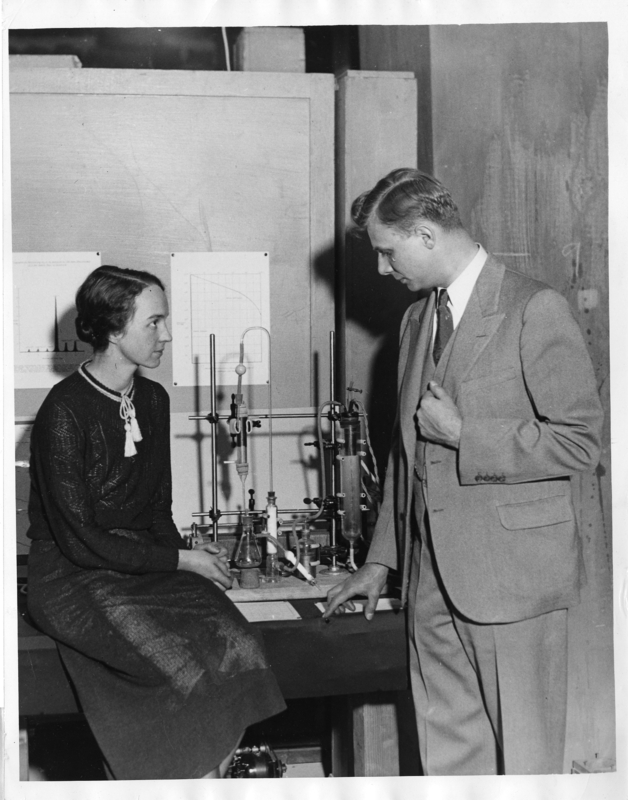 Dr. Ferdinand G. Brickwedde and his wife, physicist Marion Langhorne Howard Brickwedde, with the apparatus for making "heavy water," i.e., water enriched with higher-than-normal levels of the hydrogen isotope deuterium. Until the 1950s, conventional physics wisdom dictated that the laws of nature would work the same both in this universe and its mirror opposite, an idea known as the “conservation of parity.” This means that if radioactive atoms of the same type were arranged so that one group was spinning clockwise and the other counterclockwise, the products of their decay—high-energy electrons—would escape the atom in the same direction despite the mirror flip of their spins. However, with the advent of particle accelerators in the 1950s, evidence began to mount that the conventional wisdom might not be true. In light of this, physicists Chen Ning Yang (Institute for Advanced Study) and Tsung-Dao Lee (Columbia University) theorized that parity would not be conserved in all cases and devised a number of experiments to demonstrate it. In late 1956, working with Columbia University’s Chien-Shiung Wu, NIST researcher Ernie Ambler and his colleagues carried out experiments showing that the decay of the radioactive atom cobalt-60 violated the conservation of parity, proving Yang and Lee’s theory to be correct. The NIST laboratory was chosen as one of the experimental sites because of its low-temperature capabilities and the staff’s know-how in controlling the arrangements of atomic nuclei. Find out more about NIST's research that led to the fall of parity. 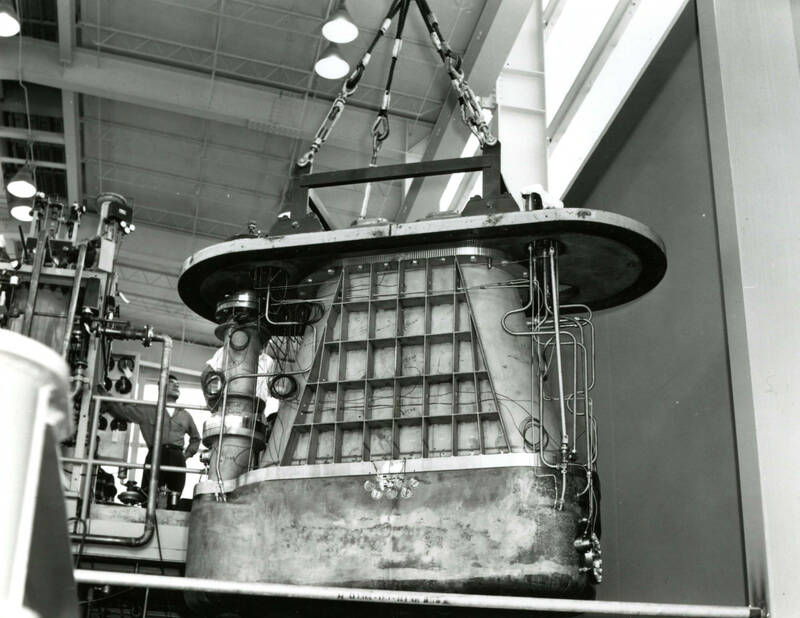 NBS helped University of California at Berkeley construct a liquid hydrogen "bubble chamber." Russell Young and his co-workers Fredric Scire and John Ward with the topografiner. In 1972, NIST scientists Russell Young, John Ward and Frederic Scire published a paper on a device they called the “topografiner,” which could image astoundingly small details a mere 30 atoms in size on metal surfaces. The device had a number of similarities to the Nobel-recognized scanning tunneling microscope, invented at IBM more than a decade later, which could image surfaces with atomic-scale resolution. Learn more about the topografiner. 1996 Nobel Prize in Physics (with Douglas D. Osheroff and David M. Lee) “for their discovery of superfluidity in helium-3." 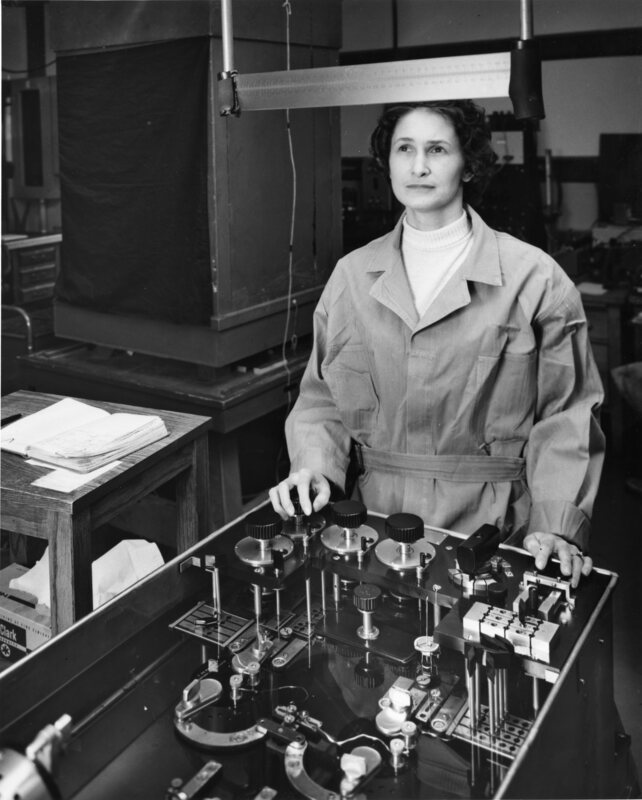 Doris Jorgensen, a staff member in what was then NIST's Electricity Division, uses a Wenner Bridge, one of the NBS resistance calibration instruments used by Richardson during his summers at NIST. 1996 Nobel Prize in Chemistry (with Harold Kroto and Richard Smalley) "for their discovery of fullerenes." 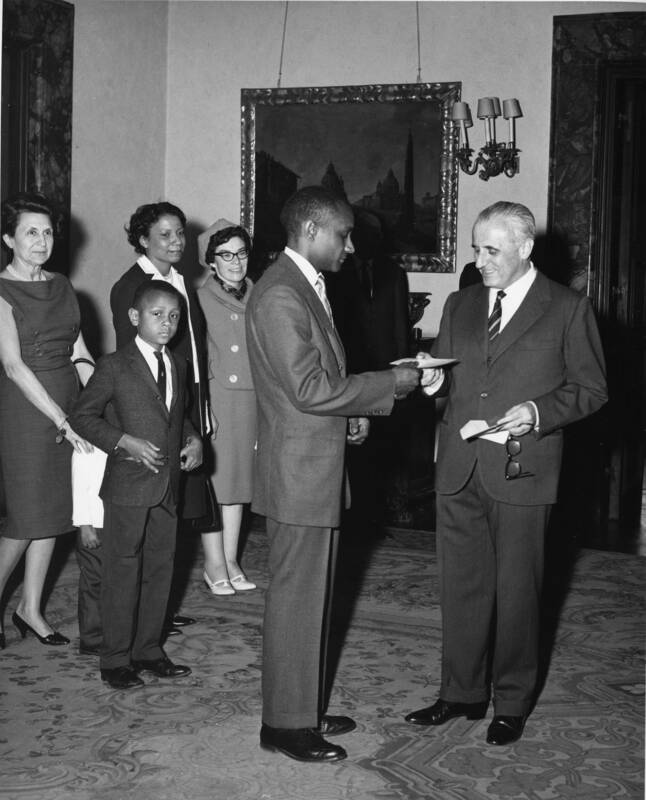 The first Professor Arturo Miolati Prize for outstanding scientific achievement was presented in March 1966 to NIST's Dolphus E. Milligan (center). Milligan received the award for his work on free radicals, fragments of molecules produced in many chemical reactions. Also pictured in the photo are Mrs. Sergio Fenoaltea, Milligan's son Stephen, his wife Thedola, co-worker Marilyn Jacox, and his son Charles (partially hidden). 2007 Nobel Prize in Physics "for the discovery of giant magnetoresistance." Albert Fert and Peter Grünberg independently discovered giant magnetoresistance (GMR), the magnetic phenomenon used for storing and reading data on today's hard disk drives. The Nobel Prize background material cites work done on GMR at NIST’s Center for Neutron Research (NCNR) by research groups that included NIST staff members Charles Majkrzak, Julie Borchers and Ross Erwin. Then as now, the neutron work takes advantage of the ability of neutrons to determine the detailed microscopic properties of magnetic materials. These scientists and other NIST researchers (including Boulder's Pavel Kabos) collaborated directly with Grünberg on more than seven joint publications. Many other NIST researchers advanced the GMR field, which eventually enabled the manufacture of inexpensive, high-capacity hard drives. Read more about NIST's contributions. 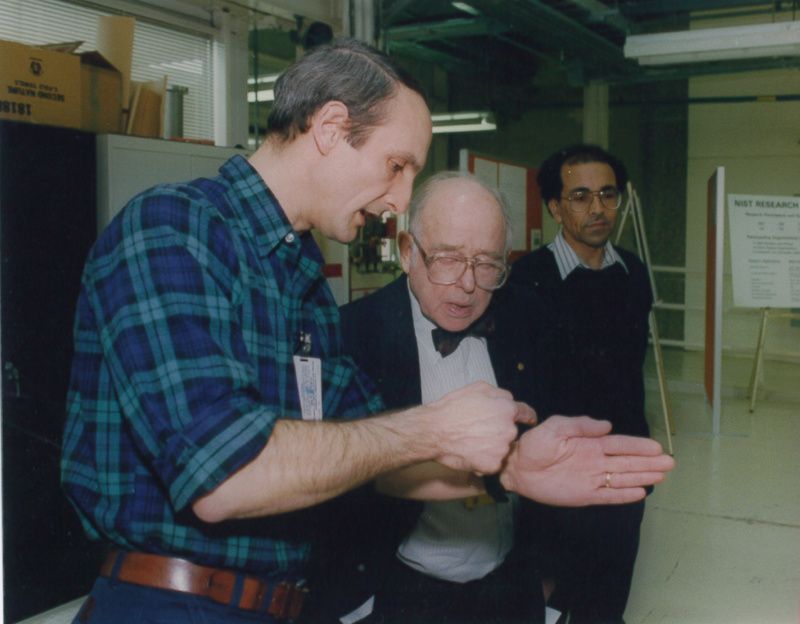 Cliff Shull (center), Nobel prize winner in 1994 for the development of neutron diffraction, visited the NCNR in 1995. Here he discusses NIST facilities and research with Chuck Majkrzak (left) and Sushil Satija (right). 2013 Nobel Peace Prize "for its extensive efforts to eliminate chemical weapons." NIST scientists developed new detection technologies that played a key role in the OPCW’s efforts to ban the production and use of chemical weapons. 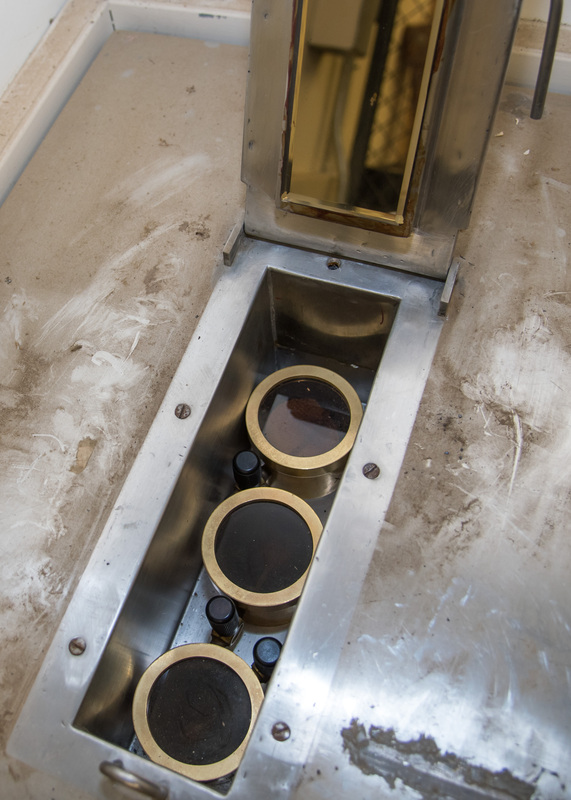 These technologies included AMDIS—the Automatic Mass spectral Deconvolution and Identification System—which enables low concentrations of chemical agents to be discovered in complex mixtures and reduce the risk of false detections. OPCW was recognized for their work overseeing the Chemical Weapons Convention, an international treaty signed by 190 nations that have pledged to rid the world of these weapons. Read more about NIST's work. 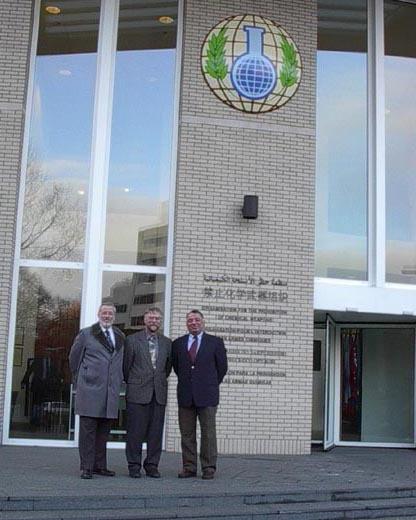 NIST scientists Ed White, Gary Mallard and Edgar Etz at the headquarters of the Organization for the Prohibition of Chemical Weapons in The Hague. 2015 Nobel Prize in Physics "for the discovery of neutrino oscillations, which shows that neutrinos have mass"
Neutrinos are extremely abundant particles in our universe, but they are equally elusive. They are invisible and only interact occasionally with matter, such as the cores of atoms (nuclei) in materials such as heavy water. One question is whether neutrinos are massless like photons (particles of light) or if they have mass, which means they would constitute some of the universe’s mysterious “dark matter.” In 1987, McDonald visited NIST and worked with staff scientists to perform a series of highly sensitive measurements of uranium and thorium content in heavy water and acrylic samples. 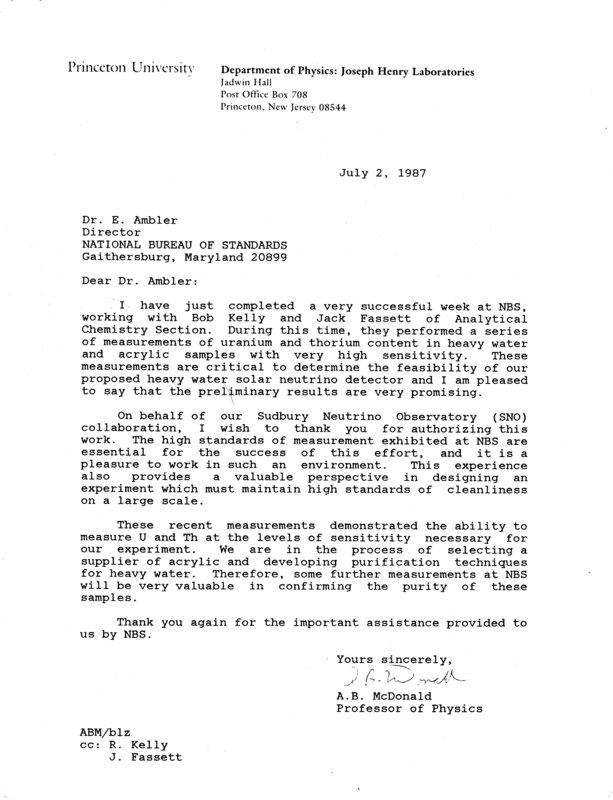 In a letter from McDonald to then-NIST Director Ernie Ambler, “These measurements were critical to determine the feasibility of our proposed heavy water solar neutrino detector, and I am pleased to say that the preliminary results are very promising.” In addition to the Sudbury Neutrino Observatory where McDonald worked, NIST scientists also made scientific contributions to the Super Kamiokande neutrino detector where Kajita performed his experiments.